1. God is everywhere in the world but He doesn't know what is going on in our hearts. 2. He is all powerful and can do all things; there is nothing that God cannot do. 3. God loves it when people realize they need to be saved from their sins and accept Jesus Christ as their Saviour for salvation. 4. He helps people who recognize their need and come to Him for help. 5. Even when God wrestled with him, Jacob never acknowledged what kind of person he was. 6. Moses was used by God only after his humbling experience in the wilderness. 7. Solomon received many things when he reminded God that compared with Him, he was but a little child. 8. Jesus said that only the self-confident would see the kingdom of heaven. 9. 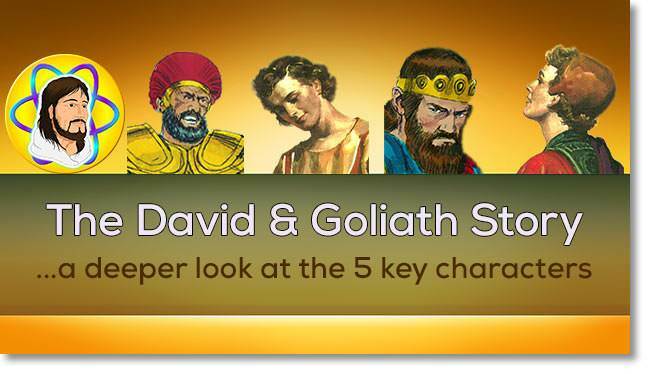 In the story of David & Goliath we realize that God saves those who need Him, not those who do not. 10. Have you come to see your need to depend on God more completely?